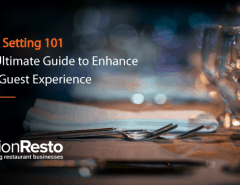 Managing a restaurant is indeed a critical job for restaurateurs on a daily basis. The challenge is to perform consistently on an every-day basis with the same and sometimes more effort for better results. For performing efficiently and make the jobs simplified. Restaurant owners today are on the run mostly and therefore, to streamline their business, the contributions of restaurant management apps are unparalleled. From knowing the nitty-gritty to handle every issue to keep the source ingredients coming in through unhampered flow; from managing the employees to managing the accounts & also keeping the tabs of unforgettable quality foods, the restaurateur is responsible for nearly every administrative precinct. There are other chores as well, like checking inventory, getting sales insights, managing customer feedbacks, creating financial strategies & sending newsletters. 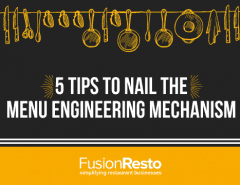 Restaurant management apps help the restaurant owners with these chores by integrating and automating each function for improved productivity. Manage employee schedules along with the labor costs with the help of this software that highlights the staff names based on their requirements and availability. The workers get notifications instantly about their workdays. Decline or accept any employee request in just a few clicks. Make important scheduling decisions with an in-built labor cost calculator integrating it with your pos restaurant app. A mobile and web-based restaurant inventory management app that enables the owner to order for stock in just a few clicks from the suppliers. Check-in items, manage inventory, return faulty products with this app itself. The users are of the view that the restaurant inventory management software reduces food wastage by 50%. Keep all your essential restaurant notes maintained in this app that supports information in multiple data formats like checklists, links, tables, attachments and audio recordings. You can also collaborate through its team account. Get lots of reviews on-premises and online? Manage and measure all with this ingenious app that pools in all the feedback, negative and positive both from websites like Facebook, Fourspace, Tripadvisor and Google. This online restaurant management system is the ultimate solution for measuring customer insights about your venture. Beyond the primary function of providing users email service, Gmail & Outlook today come with lots of features and functions that make doing business as easy as eating a cake. Schedule appoints, store and share data through cloud drives, and also access calendars and make reminders for meetings or any important event. 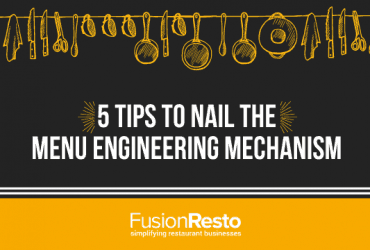 They are indeed two essential apps for restaurants that every restaurateur need in giving the business a disciplined and well-maintained framework of operational. This is a marketing platform that automates the business allowing building and sending promotional emails for amplifying the reach. This can truly be an edgy restaurant task management app which will empower you to build up new email templates based on your brand theme and also access the analytics for monitoring how the strategies are working. A stand-alone restaurant management software that performs every task an owner needs assistance for. The digital and cloud-based medium helps to manage all the crucial areas of restaurant ranging from POS, Inventory, Recipe Management, Food Engineering, Regulating discounts and loyalties, Billing, Invoicing and what not? Get all the chores done under a unified system with its cutting edge technology and unrivaled quality of service. Maintaining one or a chain of restaurant means recruiting hundreds of staffs; modern-day recruitments call for being assisted with a digital platform that will carry out all the functions with equal deftness as the likes of an HR professional. Zenefits enables accessing the employee requests and processing them along with providing detailed insights into employee performance. This is a mobile app that is beneficial for both customers and restaurant staffs to manage table waiting. The features of the software help in tracking the size of the booked table; i.e., the number of heads that have reserved the seat, any special request and so on. The app is Apple and Android friendly and only notifies the party when the table is ready. The app is used by many premium restaurant brands to create signature beverages that set them apart amidst tight competition. This app empowers bartender with many different ideas and recipes to stir up unusual blends that mesmerize the customers. This app has got a database that contains recipes of 8000 drinks with 1000+ ingredients making it easier for the owners to set new menus frequently. 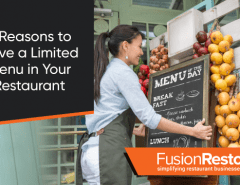 As you start adding more locations to your restaurant chain, it becomes more complicated to manage them from one central location. At this juncture comes Delegat, an app that eliminates complexities from these functions. It integrates all apps into in an easy-to-manage medium for the ease of use. 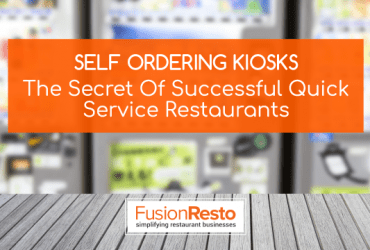 Whether you are new to the restaurant venture or in need to streamline your current systems, these restaurant management apps will definitely be the ultimate aide in managing the outlets with ease by laying a convenient path for you to regulate the day-to-day operations & saving the crucial resources.